Nassington Cricket Club are on a player recruitment drive. The club are keen to attract players of all ages and abilities. A club statement read: ‘Nassington CC are looking to recruit players of all ages and abilities to join an inclusive and ambitious club with great cricketing facilities and opportunities. ‘We currently have teams which play at several different levels of local cricket. ‘The Saturday 1st XI play in the Cambridgeshire/Huntingdonshire Premier League, while the Saturday 2nd XI play in the Huntingdonshire Cricket League Division 1. 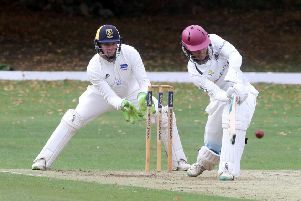 ‘We also have two Sunday league side with the 1st XI competing in the Rutland and District Cricket League Division 1 and the 2nd XI in Division 5. ‘Nassington also have junior teams from the Under 9 age group through to Under 15s. The club’s senior sides train on a Thursday night from 6pm at Nassington CC and the junior sides train on Friday night from 5.30pm, also at the ground.